So, I don’t normally post on the weekends, but this week I saw some big news that needed sharing. 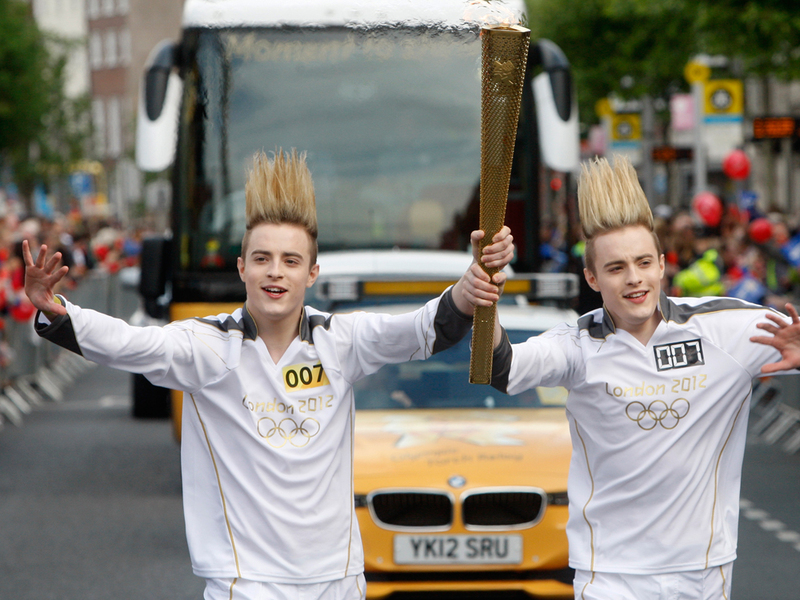 Jedward (the real winners of Eurovision in my eyes) carried the Olympic Torch through Dublin. How they got so close without the product in their hair catching fire is a modern day miracle. Here’s a pic and a quote to get the weekend off to a great start. Totally Jepic, boys. This pic is from the UK MTV website, which featured the story here. But you can read about it pretty much anywhere that covers big news stories. If only these two could actually compete in the Olympics…that would be even better…Keepin’ the dream alive, Jedward! PS – thanks for posting on the weekend!